A solvent (from the Latin solv? ?, "I loosen, untie, I solve") is a substance that dissolves a solute (a chemically distinct liquid, solid or gas), resulting in a solution. 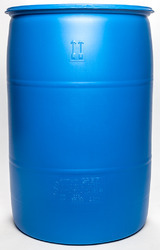 A solvent is usually a liquid but can also be a solid or a gas. The quantity of solute that can dissolve in a specific volume of solvent varies with temperature. Common uses for organic solvents are in dry cleaning (e.g., tetrachloroethylene), as paint thinners (e.g., toluene, turpentine), as nail polish removers and glue solvents (acetone,methyl acetate, ethyl acetate), in spot removers (e.g., hexane, petrol ether), in detergents (citrus terpenes) and in perfumes (ethanol). Water is a solvent for polar molecules and the most common solvent used by living things; all the ions and proteins in a cell are dissolved in water within a cell. Solvents find various applications in chemical, pharmaceutical, oil, and gas industries, including in chemical syntheses and purification processes. The ammonia offered by us is also called as aqua ammonia, aqueous ammonia, or simply ammonia, it is a solution of ammonia in water. We are engaged in offering our client with excellent quality of Isopropyl Alchohol (IPA). IPA is a colourless, flammable chemical with a strong odour. It is the simplest example of a secondary alcohol. Isopropyl alcohol becomes increasingly viscous with decreasing temperature. Like most alcohols, isopropyl alcohol reacts with active metals such as potassium to form alkoxides that can be called isopropoxides. Dipentene is a terpene liquid, a class of hyrdocarbons produced by plants, that is colorless with a lemon-like odor. 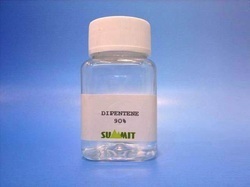 It is most commonly used as a solvent in a variety of products. It is a high production volume chemical with US annual production over 1,000,000 pounds. It is only known as limonene. 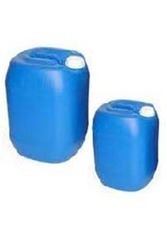 We are offering Acetic acid which is a colourless liquid that when undiluted is also called glacial acetic acid. Acetic acid has a distinctive sour taste and pungent smell. 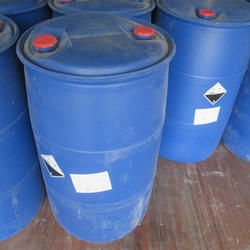 It is an important chemical reagent and industrial chemical. · Used in the manufacture of materials used in the pharmaceuticals, foods, cosmetics and colorant chemical fields including sorbic acid, dyestuffs and pigments, vitamins, antibiotics, rubber chemicals and flavor & fragrance. 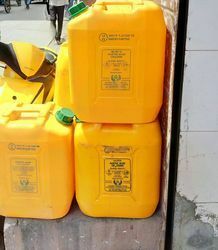 2-Ethoxyethanola also known by the trademark Cellosolve or ethyl cellosolve, is a solvent used widely in commercial and industrial applications. It is a clear, colorless, nearly odorless liquid that is miscible with water, ethanol,diethyl ether, acetone, and ethyl acetate.